When you go hiking along the wonderful Tim Tam Reservoirs in Hong Kong, you easily figure out the importance of water supply issues. This extraordinary group of four basins which strech above Stanley date from the Victorian era and include a set of impressive dams and bridges. 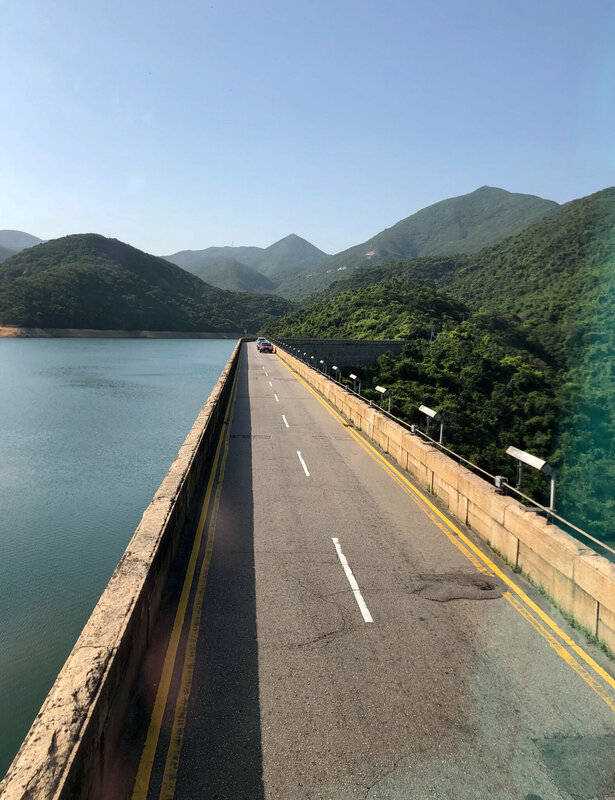 The original construction date of the upper dam is 1889 whereas the lower reservoir was only inaugurated in 1918 by Sir Henry May (1860-1922), the governor of Hong Kong. Tim Tam became the largest water tank on the Hong Kong Island, supplying the needs of the expanding city of Victoria at the end of the 19th century. When the British took possession of Hong Kong in 1841, the question of the access to water was immediately raised. The very name of Hong Kong, the "fragrant harbour", is connected with the presence of a waterfall near Pokfulam, which allowed a luxurious nature to grow there. This was indeed in Pokfulam that the famous Bauhinia, the flower on the Hong Kong flag, was discovered, at a time where most of the hills and mountains around were composed of bare rocks. Another explanation of the origin of Hong Kong's name comes with the village which became Aberdeen which dealt with joss sticks trade. This is precisely in Pokfulam that the first reservoir was constructed in 1863 to retain fresh water. 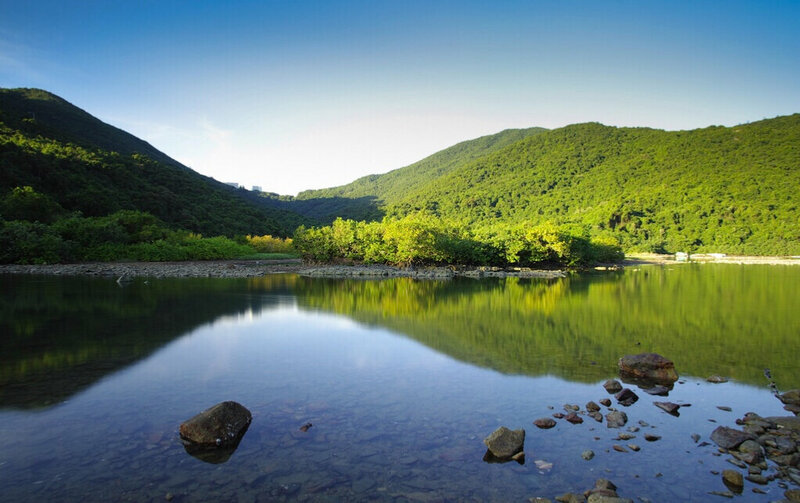 When the New Territories were added to the colony in 1898, new rivers could be used for fresh water consumption, stabilzing the situation for a short period. 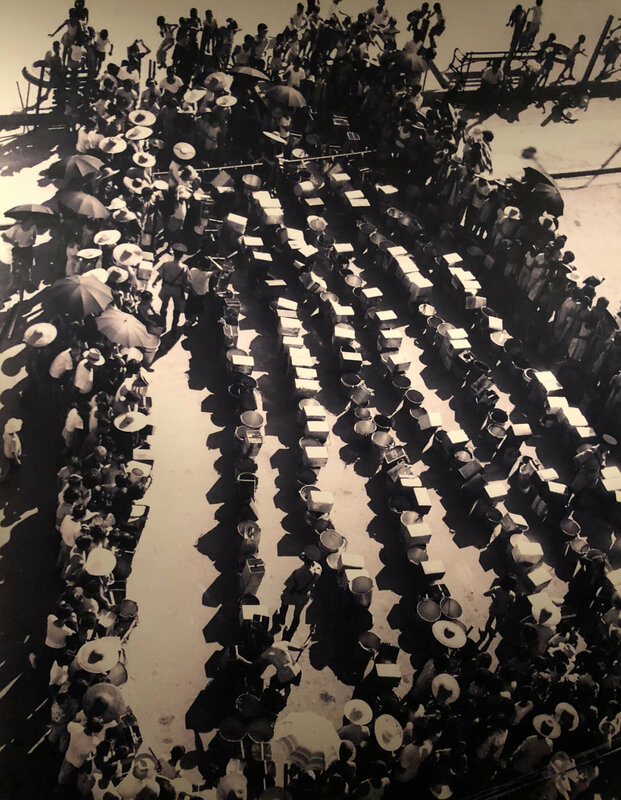 Even if two periods of drought occured in years 1902 and 1929, the most critical problems came when flows of refugees from China surged into the colony after 1950. In his memoirs, which take place between 1952 and 1964, Martin Booth remembers the water rationning happining almost every summer, with strong images of filling bath tubs or whatever available recipient when the taps were eventually working. During droughts, people used to drive down to beaches such as Repulse Bay or Shek O not only to cool down in the evening but also to wash themselves. These were the times of mid-week "sweat 'n swim days", when offices would close early to enable employees to reach the beach before sunset. 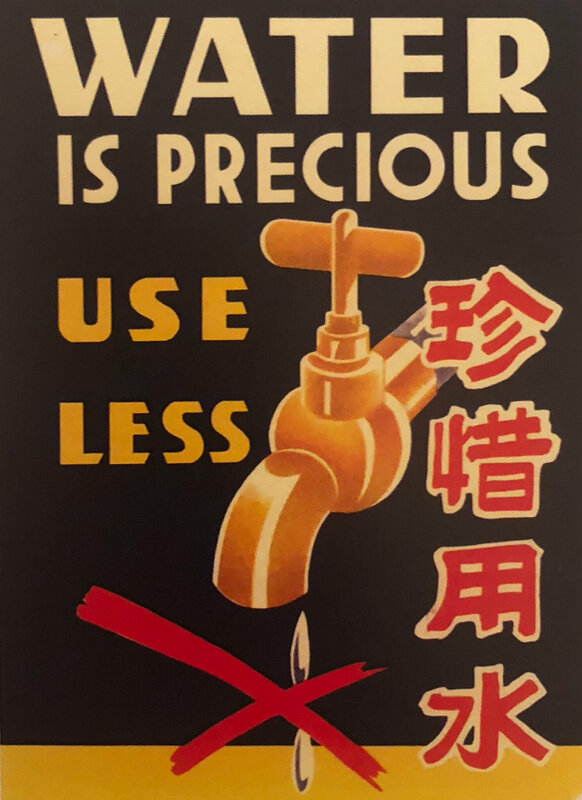 The peak of hardships was reached when the June 1963 to June 1964 drought led Hong Kong authorities to limitate the water distribution to four hours in every fourth day in some of the city districts! 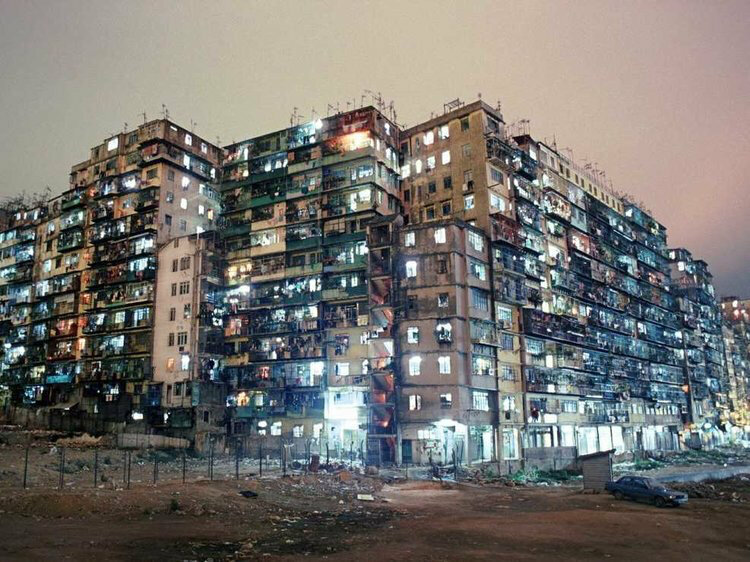 In addition to this already dramatic situation, many squatter villages that scattered the hills of Hong Kong in those years had simply no access to running water. For this reason, they had to queue for hours in front of public taps when water delivery was announced. In some of Kowloon cheap highrises, the water pressure was so weak that the upper levels pipes stayed dry during the whole summer. 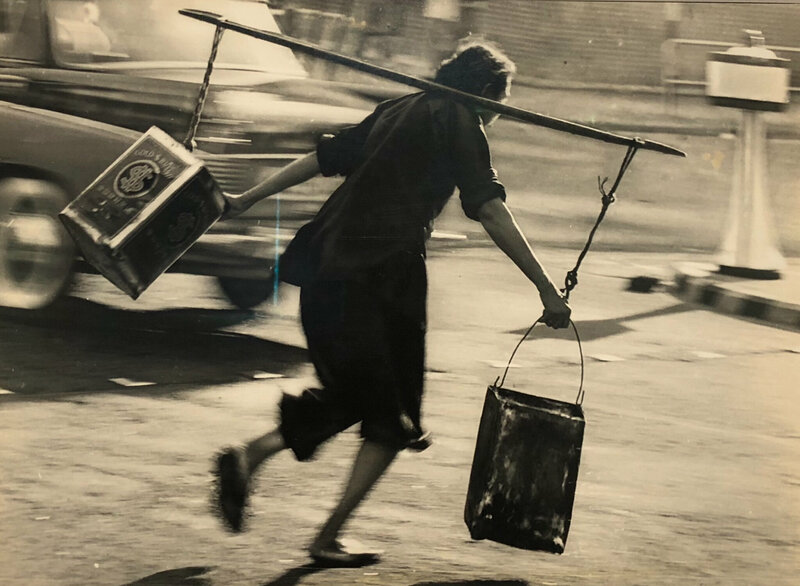 The memories of long lines of empty buckets under the burning sun have become part of the city history and still vivid for many hongkongers. Hopefully this episode ended with the burst of typhoon Ruby which brought sudden and heavy rainfalls but still the last water rationning occured in 1982 with a 16 hours a day basis for distribution. In Kowloon City, however, access to fresh water had always been an issue, due to the overpopulation of this very unique neighbourhood (50000 people in 1990!). When the New Territories Treaty was signed, the "walled city" remained within the Chinese Empire so that after 1949, the matter of sovereignty was unsolved. This situation soon benefited to the triads and various mobsters who could rule the place and run illegal traffics. The lack of official authority in this 14 storeys light-deprived concrete maze also attracted many refugees who made a living through small businesses. The price to pay, however, was a heavy one, in the form of a daily journey to one of the only four water taps of the entire quarter! Starting from the 1960s, decision was made to buy water from China. Despite radically different political views, China found the deal beneficial as providing foreign currencies and a sure mean to strengthen its position into negotiating with Hong Kong. The "water weapon", however, was never used by China even during the hardest days of the Cultural Revolution. 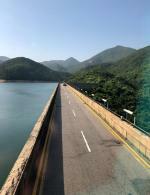 Water would be pumped from the Dong River near Dongguan and poured into the Shenzhen Reservoir before running into specially built pipes to Hong Kong. 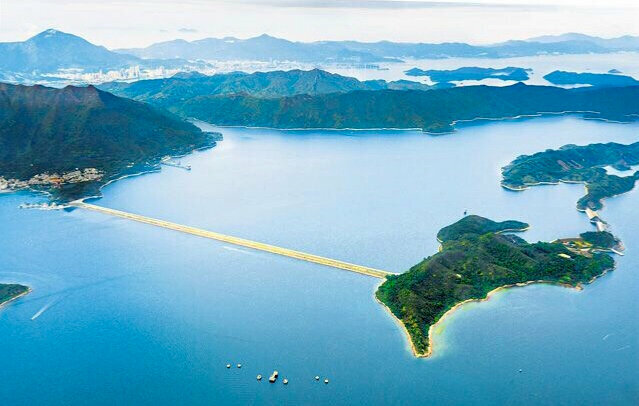 Between 1979 and 1991, some 4 Billion $HKD, the equivallent of 500 Million USD at this date, were paid by Hong Kong to China for its water supply. Today still, 70% of Hong Kong's water is pumped in China. Mammoth projects were also carried out to further secure the coverage of Hong Kong in terms of fresh water need, such as the closing of entire gulfs like Shek Pik in 1963 or Plover Cove in 1968 (below). At the same time, a creative management of water supplies includes the use of sea water for flushing toilets in all new buildings, the government funding the additional pipes. This innovative system apllies to 68% of the whole city today! Thanks to this responsible management of water supplies, no need to go the beach anymore to wash or queue under the sun at the city water taps like in the 1960s. These strong images however should remind us of the need to save resources. With global warming alarms erupting from climate experts these days, the Hong Kong exemple should ring a bell!